Kids need constant attention and sensory stimulation because they are always learning and absorbing all the information around them. Even through play, they learn a lot more than we can see through untrained eyes. Gross motor skills, balance, co-ordination, fine motor control are just some of the many skills kids develop through play and exploration. That being said, kids can be a real handful, even if you have just one! Here are some great activities that will keep your kids entertained and engrossed all day. Please bear in mind that kids have very short attention spans and would not normally be able to focus on the same activity for more than 20 minutes (tops). So be sure to combine a few of these activities to keep your child engaged all day. These are one of the most stimulating activities for toddlers. These jars can hold a child’s attention for at least 15 minutes if not longer. They are also very calming to look at and can regulate the emotions and breathing of a child who is upset within a few minutes. Mix some glitter glue with water. Add some fine glitter. Shake the jar and add more liquid if required. Puzzles are great for keeping kids occupied for long chunks of time. Kids below 5 years might get too frustrated with puzzles that have more than 6-8 pieces. Older kids can manage puzzles with smaller pieces. Either way, you can keep any age group occupied with a puzzle for a good long while. Looking for unusual and interesting puzzles? Try ABaby’s Outer Space Floor Puzzle . I have yet to meet a child who isn’t excited by blow painting. Even teenagers and (sometimes) adults find this activity fun. 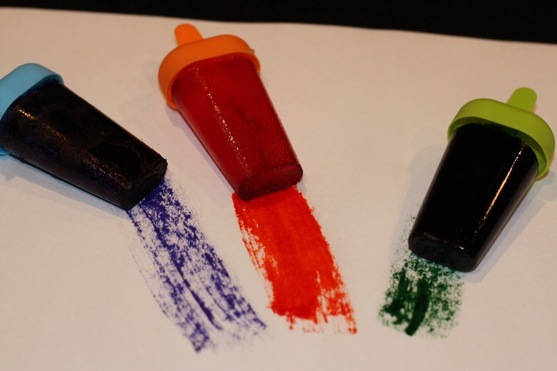 A set of blow pens can be used over and over again and are quite inexpensive. You can even use regular paint and some straws. It is probably the most stimulating and engaging of all painting games. Kids 4 years and older are at the age where curiosity for scientific occurrences is at its peak. Try some simple science experiments that you can do in your own kitchen and keep your kids occupied with an educational activity. You can try: -	Mix water with baking soda and watch the reaction -	Mix water with pepper and then add soap and watch the reaction -	Mix water with colored vegetable oil. -	Mix water with vinegar. -	Mix food coloring in water and mix the colored water together to make different colors. Toddlers love water play. It develops a lot of fine, as well as gross motor skills. It is also a great activity for sensory play. Take a large shallow tub and fill about 2 inches of water in it. Put in floating and sinking objects. Also put in small spoons, measuring cups, droppers and other objects that you may have in your kitchen that can hold water. You can also put in a small sieve so they can experiment with how water flows through it. Baking is a great parent-child activity. If you have children below the age of 3, they can do the kneading of the dough, stirring and mixing. Plain cupcakes and sugar cookies are fairly simple to make and don’t require any cooking expertise. You can also make different colored frosting and have the kids spread it on the cupcakes or cookies. There are plenty of “small world play” kits available in the market today. These would include miniature model cities, train tracks, jungle and animals, and more. Building these models takes great concentration and focus and also sharpens a whole lot of skills. Since the results are incredibly fascinating to kids, it keeps them motivated and holds their attention for longer than most other activities. Try ABaby’s Community Roadway System that can be set up in a variety of combinations. This is a hot favorite when it comes to kids activities. It develops grip, fine motor control and is over all great sensory play for toddlers. All you need to do is make colored water and freeze it with Popsicle sticks inside. Once your paint popsicles are completely frozen, all you need to do is take them out and paint with them! Who doesn’t love a good Scavenger hunt? If you have a backyard or a large garden, take advantage of your space and plan a treasure hunt to keep your kids occupied for a couple of hours. It does take a little bit of planning on your part but it is worth it because the kids have a blast. It also develops cognitive skills, logical reasoning, problem solving and a lot of other higher order skills. For older kids this is a really fun activity that can easily take up the entire day or even two days. Come up with a plot with your kids. Write out a script and ask them to make storyboards. You can take it up a notch and hold auditions to hire actors. 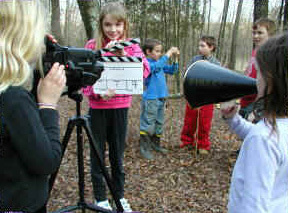 Once you have your actors, your kids can begin shooting. When they are done, sit with them and edit the movie. After dinner, microwave up some popcorn and have your very own private premier! Keeping kids occupied is never easy, and even when they are occupied they are seldom “out of your hair” so to speak. So be prepared to be called in to the activity at any time, because they only time when they are really out of your hair is when they are asleep!